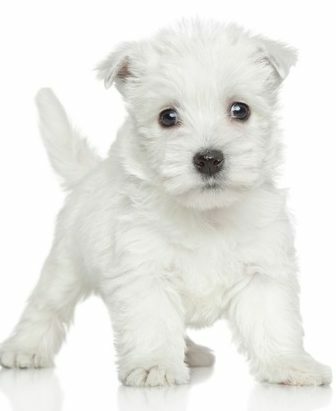 West Highland White Terriers are a hardy breed that has a friendly disposition that makes an ideal companion. With a short compact body, erect ears, and a pure white coat, West Highlands are a stand out everywhere they go. This dog is a bundle of fun and one of the most requested breeds at TLC Kennel.